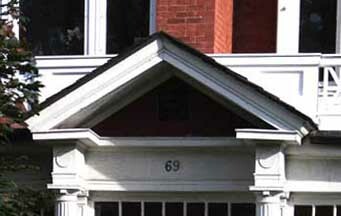 Swan's neck pediment - 40 North St.
"Pediment" is possibly a garbling of "pyramid." Tympanum: the space inside the pediment. 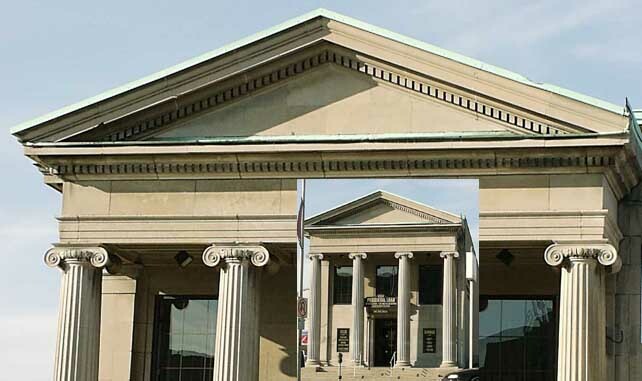 It is is ideal for bold sculpture, as in Greek temples. 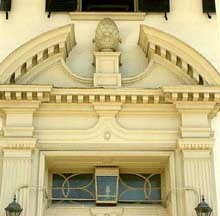 Broken pediment: a pediment open or broken at the apex, base or both, and the gap often filled with an urn, cartouche, or other ornament. 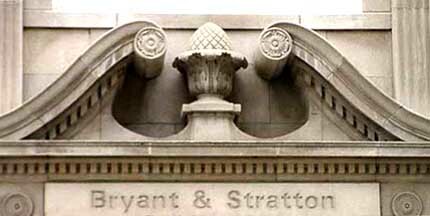 Triangular or arched cresting [above a building or doorway or] on a piece of furniture. 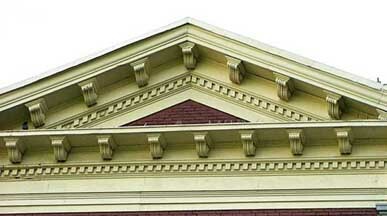 Called a broken pediment when sides do not converge at an apex. 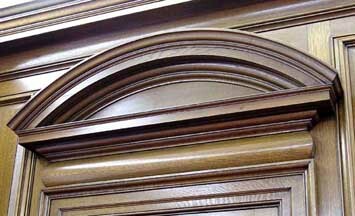 An architectural term adopted by cabinet makers to describe a triangular or shaped (as the swan necked) feature placed above the cornice of a bookcase, cabinet, tallboy, or longcase clock.